This Christmas season I wanted to start an Advent tradition for our boys. Our oldest son is now four and loves reading books about the Christmas story. We enjoyed welcoming each day in December by opening a small drawer anticipating a new part of the story of Jesus' birth. Gabe would come running in to our room each morning announcing what number we needed to open today! Below are some photos and descriptions of what we did. The wooden tree and box with drawers I bought on sale at Michael's Craft Store. I stained the drawers and painted the rest of the box white, chimneys painted a brick pattern. I glued a few white snowflakes on as well. Preston bent nails and glued them in small holes to hold each one of our advent ornaments. 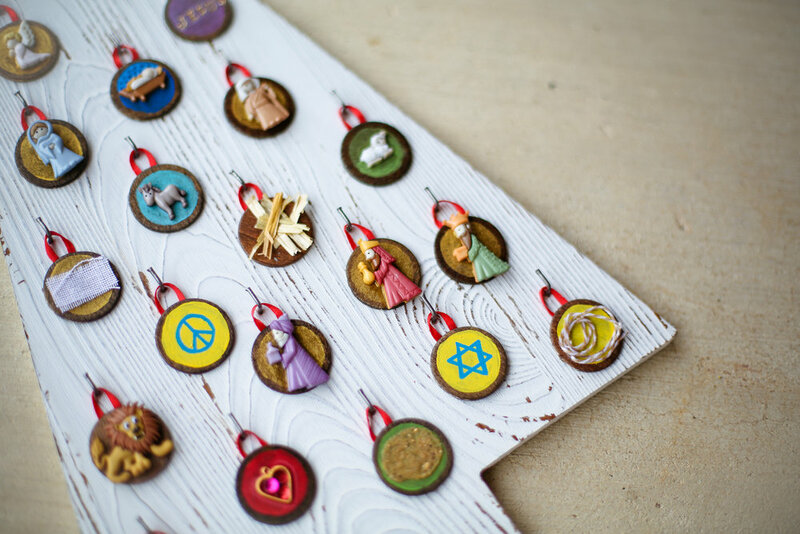 Each advent ornament was made using small wooden circles from a pack from Michael's as well. Looped ribbon super glued to the back. I stained the wooden circles brown and attached a button figure or cloth, hay or piece of jewelry that I could find as a symbol for each verse I was using that day. 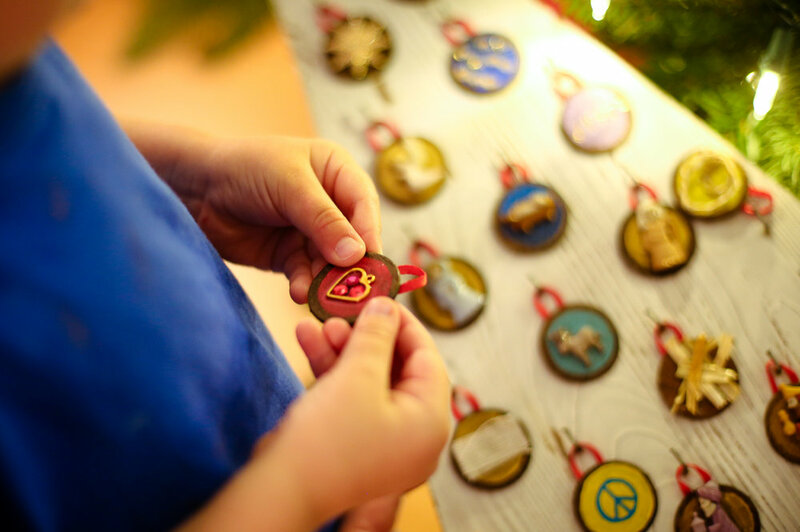 Note: If you are wanting to make on for your family - there are Natiivty scene and wise men Christmas buttons at craft stores now that should be on sale and ready for next year's calendar! Below are the list of symbols and verses with corresponding days of December. Each ornament was in the drawer number and then we would hang them on the tree where their number was written very small under the nail.